My tiny besom that I made. The handfasting cord from our wedding. A seashell to represent water. A container filled with soil from my witch's garden to represent earth. A blue jay feather my wife found to represent air. A candle to represent fire. 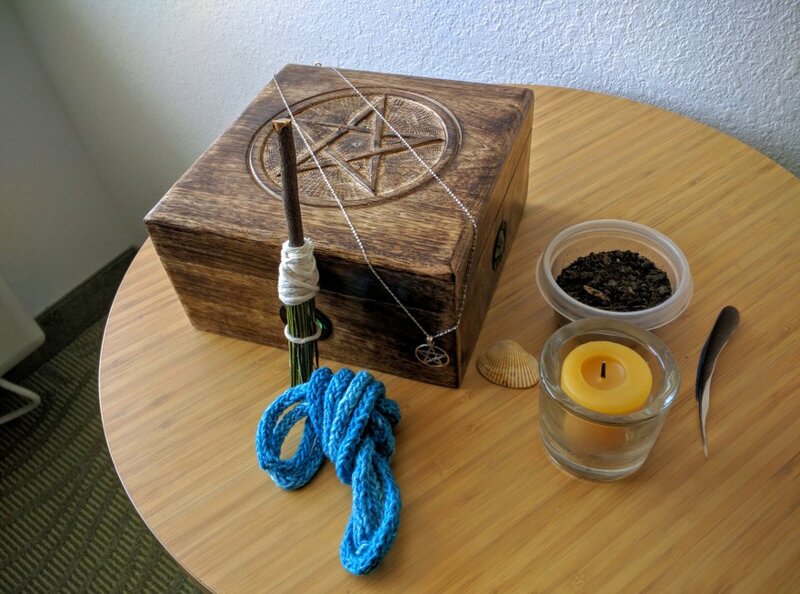 I celebrated the new moon away from home, and it was nice to have some of my tools with me. My practice doesn't require them; all I need is quiet and solitude to practice. However they made me feel more at home during a stressful time.